At Falkirk Wood we pride ourselves with making high quality, high performance hardwood casement windows. Incorporating traditional techniques with modern designs. All our casement windows are run to order so you can have any specification, colour, size and configuration that you like. Falkirk Wood timber casement windows can be manufactured in both double glazed and triple glazed. Our hardwood casement windows are double sealed in our storm proof profile. Falkirk Wood casement windows are factory sprayed with Teknos microporus paint. 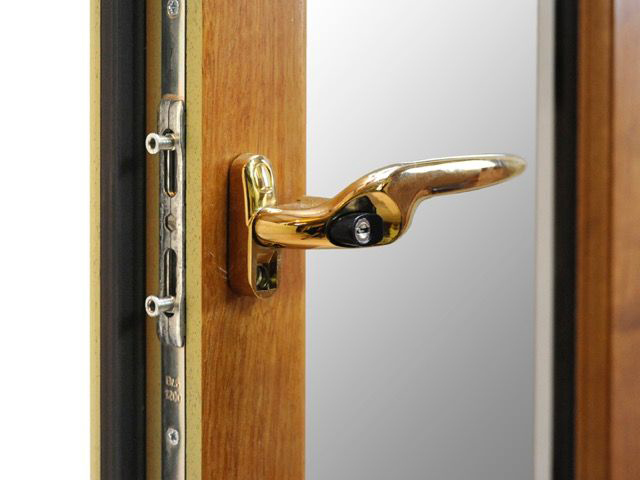 Falkirk Wood casement windows are supplied with concealed espagnolette locks.